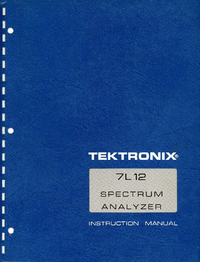 This service manual is intended for use by authorized warranty stations. 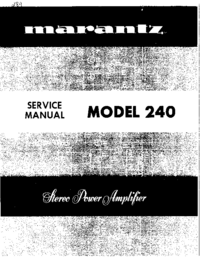 The manual contains service information for the Marantz model 240 Stereo Power Amplifier, manufactured by the Marantz Company, a subsidiary of Superscope Incorporated, Chatsworth, California 91311 Adjustment, maintenance, and troubleshooting information listed herein should be attempted only by the experienced technician, one knowledgeable in solid state TV Multimedia">Amplifier operation and the use of test equipment. All instructions should be read carefully and understood fully before proceeding with any service. 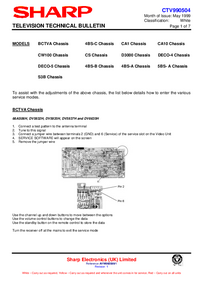 Symptoms (and their remedies) listed in the troubleshooting section, are those which might occur in some units. 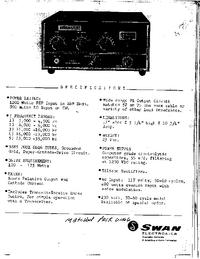 As the Marantz Company becomes aware of other field problems, supplementary service bulletins will be issued to all stations. To improve this service, all problems (and their solutions) not covered in this service manual should be brought to the attention of the National Service Manager at our Sun Valley location.